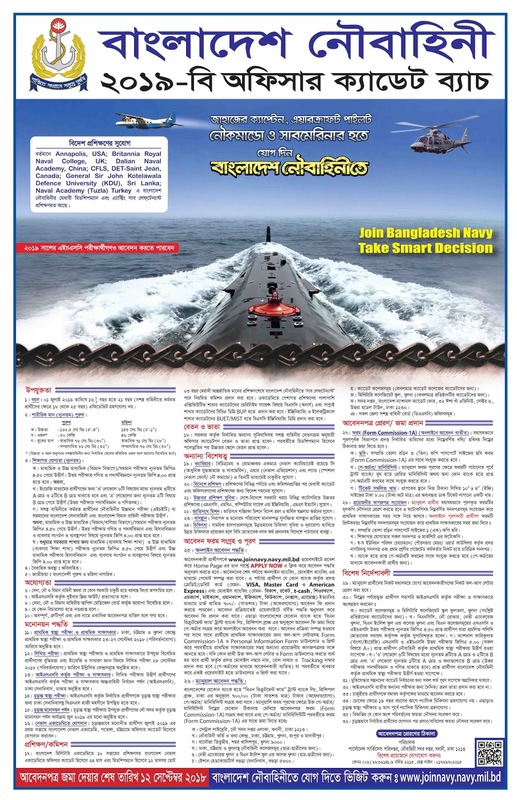 Bangladesh Navy 2019-B Officer Cadet Batch Circular on 17 November 2017 has been published. Application Deadline 12 September, 2018. 14.Compensation and Benefit: As per Government Pay-scale. a. Preliminary Medical Test test and Interview. 17. Salary and facilities: Bangladesh defense salary and facilities. There are two system can apply. a. Please prepare recent passport size photo within 100KB Bangladesh Navy specific size. b. 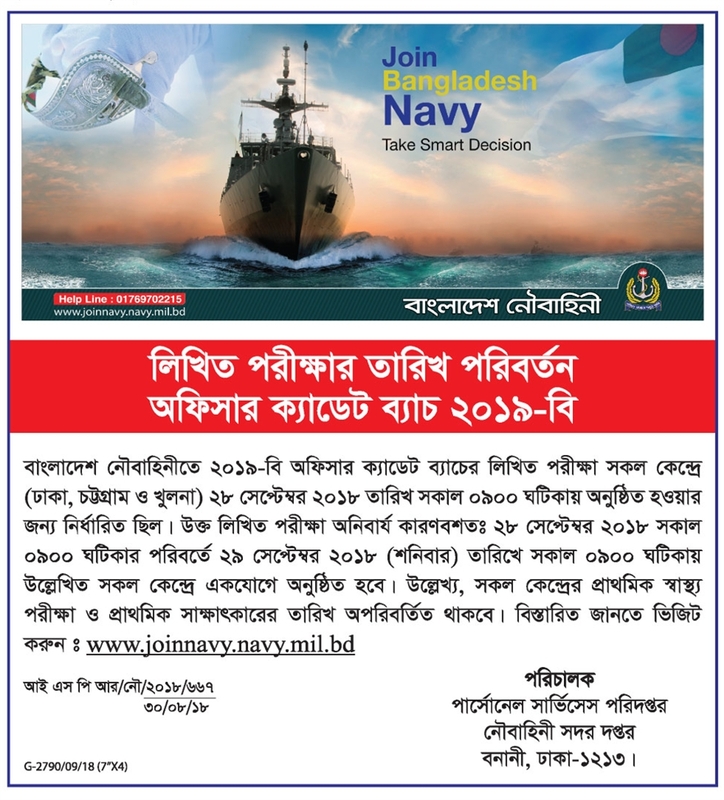 Visit:http://joinnavy.mil.bd/ Click 'Apply Online' or http://joinnavy.mil.bd/candidates/apply. c. Select Candidate type 'Officer' and Select Any One Exam Center 'Dhaka, Chittagong and Khulna'. d. Personal Information, Present Address, Permanent Address, Parent's Information, Guardian's Particulars (If not Father/Husband), Portfolio (image) all informatin ful up carfuly. e. Click Next and ful up your 'Academic Information'. f. Input your Pay Order Information and Submit your Application.